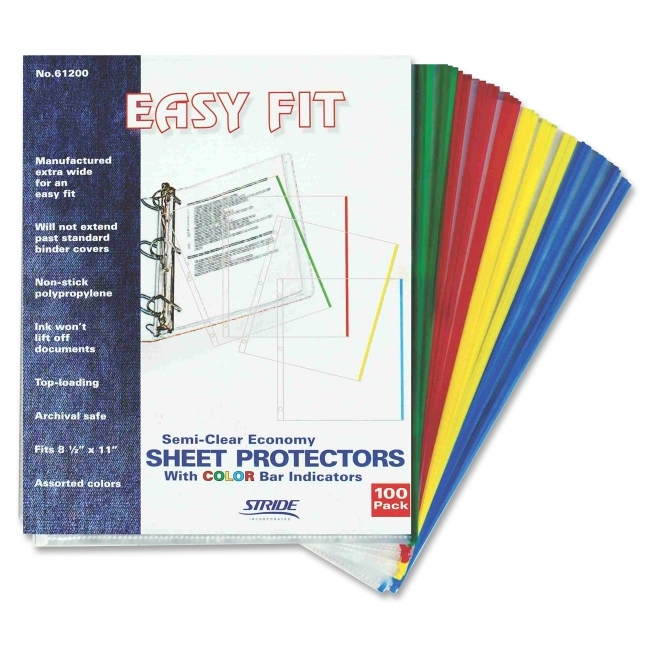 Semi-clear sheet protectors feature color bar indicators for easy color-coding within standard-size binders. Color bar indicators in green, blue, red or yellow line the edge opposite the three-hole punched edge for quick access to different sections. Unlike tabs, they will not extend past standard binder covers. Top-loading sheet protectors are made extra wide for an easy fit for your letter-size documents. Each offers a 20-sheet capacity. Nonstick, economy-weight polypropylene is archival-safe, and ink won't lift off documents. 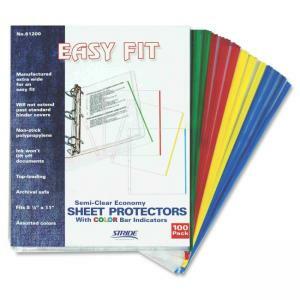 Set of sheet protectors includes 25 each with green, blue, red and yellow color bars.